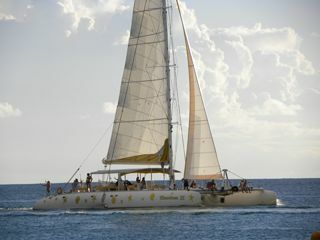 Welcome aboard the 23m maxi cat Emotions II, and experience the best day of your Caribbean vacation with Gégé and his friendly crew. 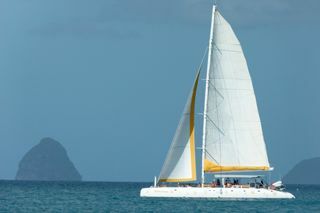 Sail to St.Lucia and go for a shopping tour in Castries, swim in crystal clear water and enjoy lunch in picturesque Marigot Bay. Or, discover the beautiful Southern Martinique coastline, head to Diamond Rock and then Les Anses d’Arlet to see the turtles. Both cruises include a traditional lunch buffet, an open bar and great fun!